Mazhavil Manorama Super 4 Winner will be announced during the grand finale going to be telecasted on October 20 and 21st, 2018 at 7: 00 PM . The show launched on February 3, 2018 . Since then the show was aired every Saturyday and Sunday at 8:00 PM. This musical Show consists of 16 of the most talented singers, aged between 15 to 30, selected after audition from all over India. Super 4 indicate four teams lead by four judges. In this musical extravaganza , the contestants can choose the team where the will belong through out their journey in the show. 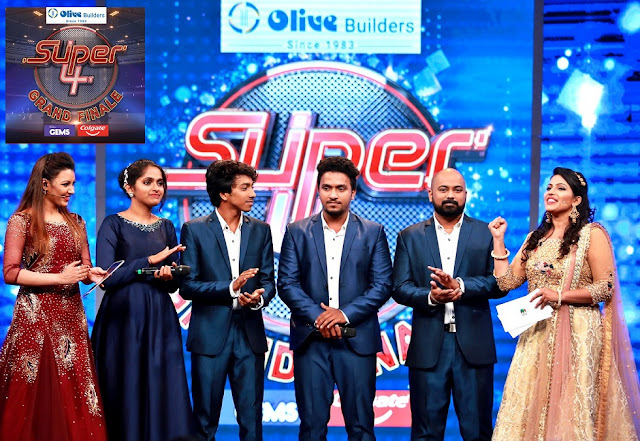 Singer Sujatha Mohan, Music Directors Deepak Dev, Shan Rehaman and Sharreth will form the judging pannel of Super4. Music diretor Alphose groomed the contestants for the show. Vidya Vijay is the anchor of the show. In the grand finale Vijitha joined as a co-host of the show. 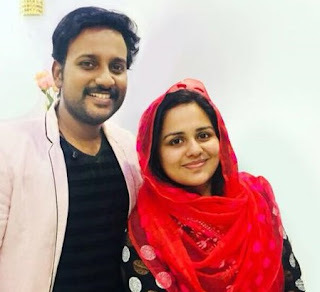 Mazhavil Manorama Super 4 grand finale was aired on 21st October 2018. Sreehari Rajendra emerged as the Super 4 Winner and won the title trophy along with prize money of 10 Lakhs. Music director Vidyadharan master distributed trophy. The three finalists received 5 lakhs cash prize as runner up of the show. The runner up Swetha, Vyshakhan, Dev Prakash got a prize money of Rs 5 Lakhs and all the finalist got certificates. Singer Venugopal was also present during the grand finale. The full episodes of the show directed by Abraham Chunkathu will be available through the channels official youtube channel after the telecast of the show.